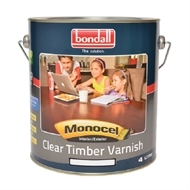 Bondall Monocel Clear Timber Varnish Ultra Gloss is a premium quality, single pack, transparent high gloss finish for interior and exterior timber. 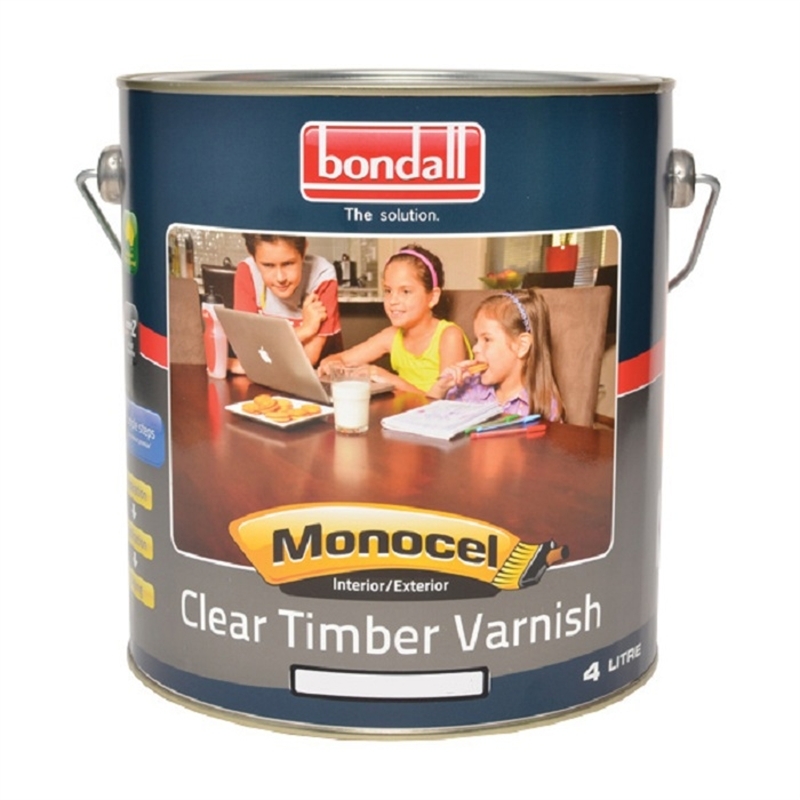 Monocel Clear Timber Varnish Ultra Gloss features advanced nanoZ™ technology (invisible Zinc) - a unique ingredient which helps protect against UV light exposure. 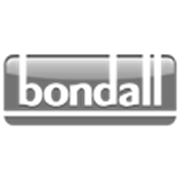 This enhances the durability and gloss retention of exterior timber finishes. This easy-to-use, brush on coating has excellent adhesion, and is highly resistant to most household chemicals, solvents and abrasion.